Le Boat Rideau Canal Cruises are now open for the 2018 season. With over 40 years of experience, Le Boat is known as Europe’s Largest Boat Rental Company and is poised to become a global brand with the launch of the company’s first North American Destination and Base Operation in Smiths Falls, Ontario. 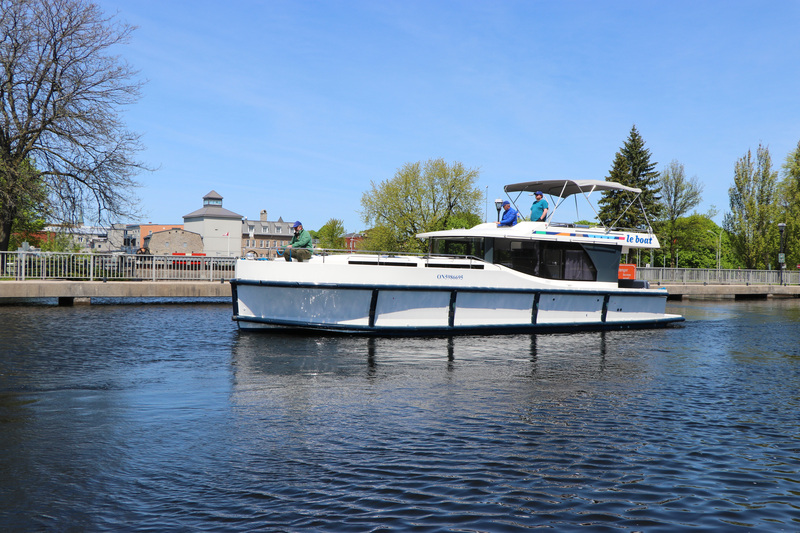 On the Morning of May 18th, Le Boat hosted a small ribbon cutting ceremony at the Kilmarnock Lock Station with three of their brand new Horizon Cruisers. 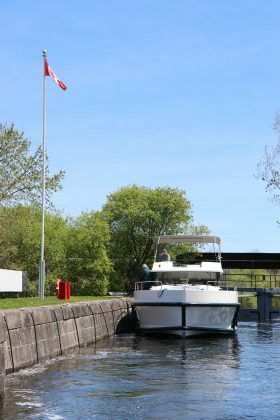 Lisa McLean, National Marketing Manager for North America and Amanda Breeze, Sales Agent had the honor of cutting the ribbon at the official opening of the locks, allowing the cruisers to be one of the first to pass through a lock on this beautiful UNESCO World Heritage Site, The Rideau Canal. With their North American Headquarters and Base located in Smiths Falls, Ontario, Le Boat has a fleet of 16 state-of-the-art Horizon cruisers, which are specially designed to meet Ontario Maritime and Le Boat customer requirements. Bookings for this region began in 2017. Le Boat has recently announced that they are currently 72% sold out, but there are still some boats available for the 2018 cruising season! 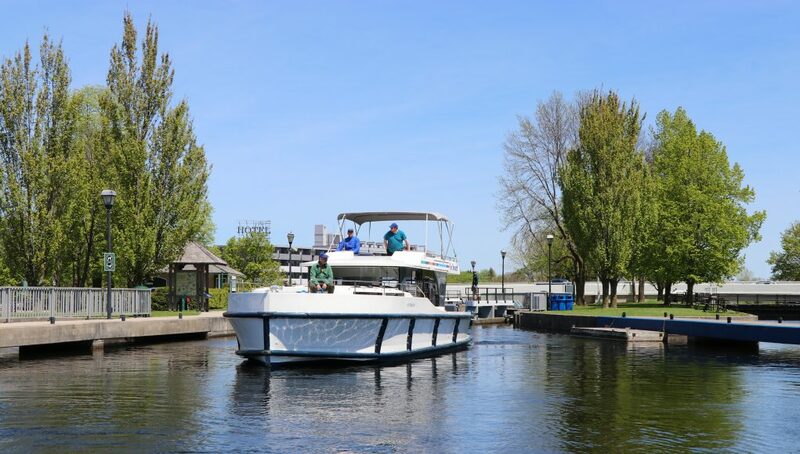 Le Boat offers travelers from around the world the perfect ways to discover the beauty of the Rideau Canal. One of the greatest engineering feats of the 19th century, the Rideau Canal is the oldest continuously operated canal system in North America. Traveling this attractive waterway, you’ll be able to unwind and take in spectacular nature, picturesque towns and lively cities of this UNESCO World Heritage Site. “The Rideau Canal is a vacationer’s dream, offering the best of all of Le Boat’s European destinations in one place. It has the elegant beauty and charm of French waterways, the delightful lagoons of Italy, and the dramatic, scenic lakes and rivers of Ireland, Holland, and Germany. Most of all, it is a mecca for lovers of nature, with every imaginable water sport such as fishing, paddle boating, canoeing, swimming, as well as hiking, biking, and bird-watching, ” said Cheryl Brown, Managing Director at Le Boat. No experience or boating license required! To facilitate the ease of handling for new and experienced boaters alike, the Le Boat Horizon is equipped with bow and stern thrusters for easy maneuvering into and out of locks. It has bumpers around the whole boat for safety and has a capped speed of 10km an hour for the Rideau. Le Boat’s Premier Horizon cruisers offer large forward staterooms, a roomy top-deck area with BBQ, diverse amenities, and a high level of comfort. There are four different models to choose from and they sleep from 2 up to 10 people. All boats are brightly modern designed with a fully equipped kitchen including a fridge, store, microwave and TV/DVD Player. All cabins come with an en-suite bathroom, shower and towels included. 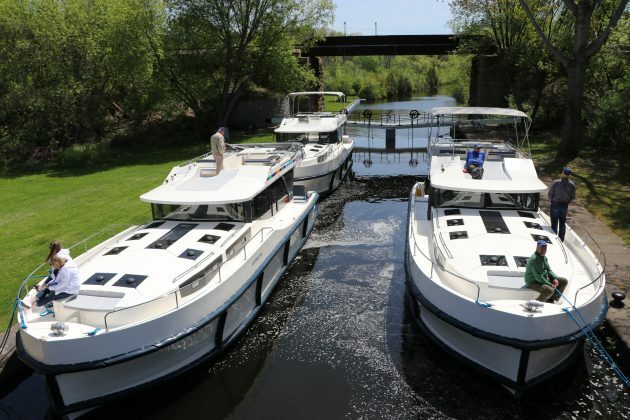 Le Boat is the leading self-drive boating rental company, with more than 40 years of experience in the industry, operating its own fleet of 900 self-drive cruisers from a network of over 37 different departure bases across eight European countries. Renters can sleep on board in 5-Star comfort and style, saving substantially on hotel costs. All boats feature fully equipped kitchens, comfortable furnishings, showers and bathrooms, and warm air heating. They also feature air-conditioning, depending on the model. No experience or boating license is necessary. Instructions and an orientation are provided to first-time renters, ensuring they get the most out of their boating vacation. Unlike conventional cruises that follow a pre-planned itinerary, Le Boat provides guests with suggested itineraries but allows them to visit the towns and attractions that most interest them on a particular route. For more information, call toll-free at 1-800-734-5491 or visit www.leboat.com.